The most common reason for buying a small sawmill is to mill lumber for your own projects. Once word gets out that you have a sawmill, people start calling you to mill for them as well. These jobs range from a few boards, to building a dog house, to a house, or a barn. Some will want to buy the lumber from you, while others want to hire you to mill their logs. Some will want to barter or have you cut on shares. No matter what you charge, there will be a few who try to dicker on the price. 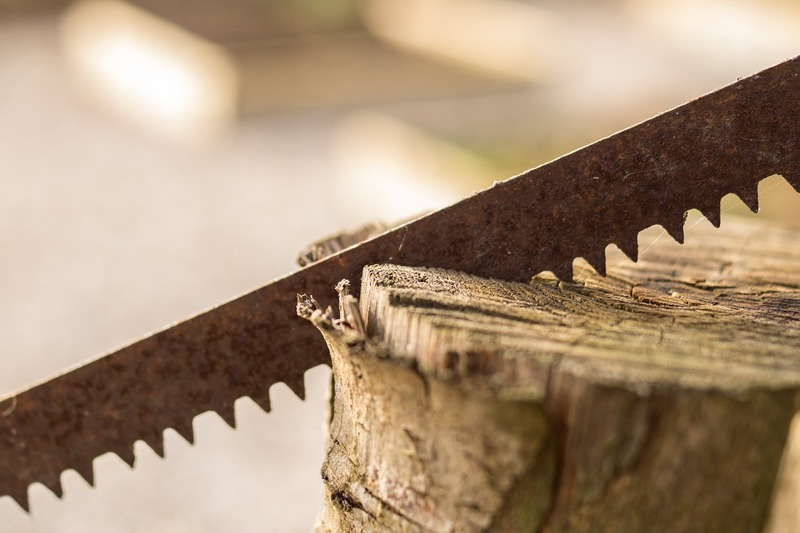 It is tempting to find out what other sawmills charge and charge just a bit less, but this can be a recipe for disaster. If the sawmill is run by a retired individual who just wants to make a little money on the side, there is a good chance that he is charging much less than it takes to build a serious sawmill business. Once you figure the taxes, insurance, operating cost, support equipment, amortizing of the mill, taxes and insurance, you may find very little going into your pocket… or worse yet, discover that you are actually paying for the privilege of running the mill! Many people forget to factor in the three big-ticket items—taxes, insurance, and amortization. I figure roughly 40% of my income goes into these. Amortization assumes that you will replace the mill after a given number of years. For example, a $10,000 mill with a ten year life expectancy would amortize out at $2,000 per year. Of course, there is the “rolling stock” (truck, trailer, and loader), chain saws, and other support equipment, which all have their associated taxes, insurance, amortization, and maintenance. The other operating cost is me. I enjoy eating three meals a day & have bills to pay, plus retirement to consider. After all expenses are met, I have to clear enough for all that. Compared to all that, blades, gas, oil, and maintenance on the mill & support equipment is only about 5% of the cost of running the sawmill! Should you charge by the board foot or by the hour? The answer is “yes”. The customer is used to paying a certain amount of money for a certain amount of lumber, but your cost is based on how much you run the mill. I compromise between the two. While I charge by the hour (plus mileage for bringing the mill on site), I give an estimate based on board footage. With experience, I can come pretty close, based on the species and quality of the logs and the desired end product—about 130 bd ft per hour for good hardwood logs. To estimate board footage in a log, I use the International 1/4” scale + 14% (remember, this is to provide an accurate estimate, not for buying or selling logs). Charging by the hour provides incentive for the customer to have everything organized before I get there and to help out. We start with the best logs first, and track the board footage and time to mill it so we can determine the price per board foot. As we work down to the poorer logs, the cost per board foot goes up, since it takes longer per board foot to mill small, crooked logs. If we get to the point where it isn’t worth it to the customer, I stop milling, and the rest goes for firewood. That way, the customer determines how much he pays per board foot, and we both walk away happy. On this basis, I had one customer pay $1.50/bd ft to have some really small, rough walnut milled, and he was tickled to have it! Everyone will find a price structure that works for them. Be creative. If you can use or sell the wood and come to an agreement, by all means, cut on shares! If someone tries to talk you down in price, be prepared to walk away. You probably will not be able to compete with the local lumber yard milling 2×4 pine. What you can do is to offer a service and quality that the lumber yard cannot match. If you build your reputation on that, there will be enough people who will buy your product or service to keep you in business. I have a small mill business, myself, been running for about a year, i charge per volume. Works well, but still find i am not making much per hour… Spend a lot of time moving waste and product around… any ideas on this ? Wouldn’t that be $1,000 a year?